World Stamp Show - New York 2016! Print your badge at home and bring it to the show. Pick-up a badge holder at Registration at the Javits Center May 28 - Jun 4. NOTE: If you are a booth holder, booth worker, judge, commissioner, exhibitor, Liberty Club member, Organizing Committee member or volunteer, you will be provided a special name badge at the Javits Center Pre-registration booth. Contact your primary booth contact to verify. It appears that your email address already exists in our registration list. To recover your password please click the button below and the login details will be sent to your registered email address. You may then Log in here. If this is not your email address however, please enter another email address and submit your registration request again. 1. Is anyone in your family a member of the American Philatelic Society? 2. Are you interested in stamp collecting and receiving more information? 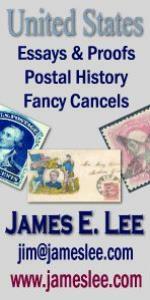 Your email will be retained by the American Philatelic Society (APS). If you do not wish to be contacted by APS, please check NO. 4. Where are you staying? 5. What was your primary means of travel to the show? 6. Number of days you plan to attend this show? This information is used for security and demographic purposes for World Stamp Show NY 2016. Your email will be retained by the American Philatelic Society (APS), the event's official host organization. If you do not wish to be contacted by APS, please check NO to question two.